This may be common knowledge, but I just figured it out. The window controls in the pre-89 maxima and the pathfinder UP TO 1995 seem to match up to ours. 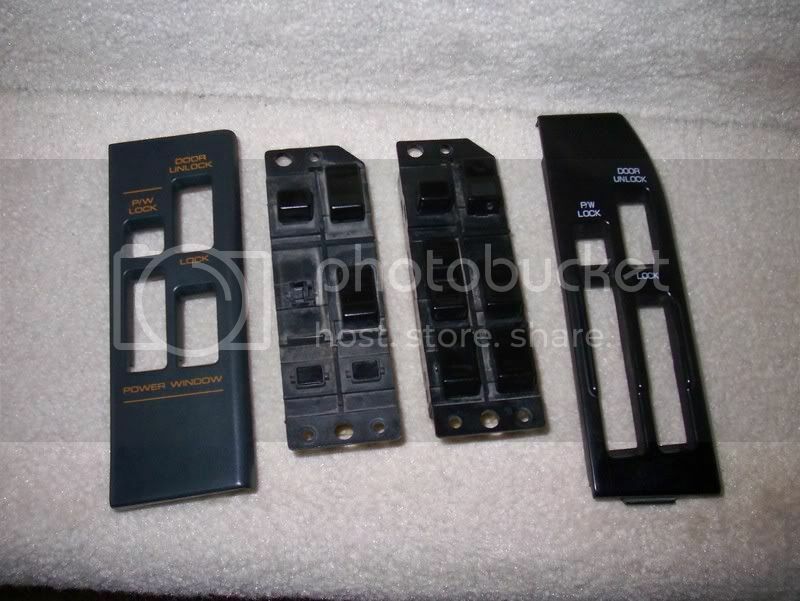 I just bought a controller for an 86 maxima, popped off the trim and the back window buttons so it would snap into the trim on the 200SX and stuck it in the car. Connects right into the existing connector. Not so much a big deal as the Pathfinder part, I don't have one yet to try but it could mean controls from a 12 year old car (easy to find) will snap right into our 20+ year old cars (hard to find) when the buttons eventually fail - which they do - and it still looks stock. I'll update with pictures once I get a pathfinder control in hand. mine are working perfectly, but the button for the Drivers side window is broken off, with enough nub left to push it down and make it work... so is it supposed to come of like that? Pics of the disassembly? Finally got a 1993 Pathfinder window control in-hand. If you care that the buttons don't match the single switch on the passender door you can pop off the passenger switch and replace it with one of the rear window switches removed from the drivers side. The pathfinder switches are heavier and better material than the 200SX switches I've seen, I think they will last a lot longer. If you really want spend some cash and start fresh Nissan still has these for the giveaway price of $118.00. UPDATE - I just figured something else out. I have 2 Pathfinder switches. (I thought one Ebay sale had gone south after a month and ordered another) The second switch drivers button doesn't work. So I took the switch apart to clean it up and the inside is a little different. 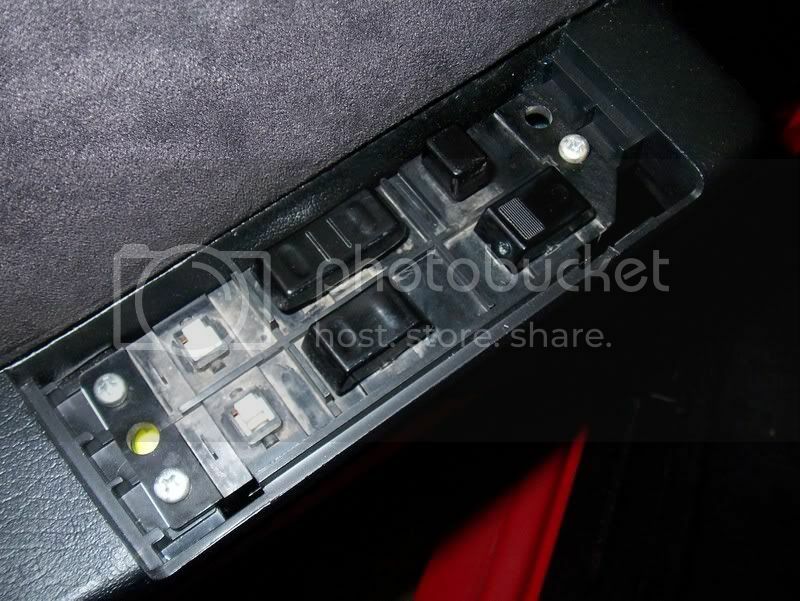 The differences are connections for the 'auto' function to roll the drivers side down with one push and the switch itself has a detent that allows this to happen. I don't know which Pathfinder trim levels had the 'auto-down' feature. 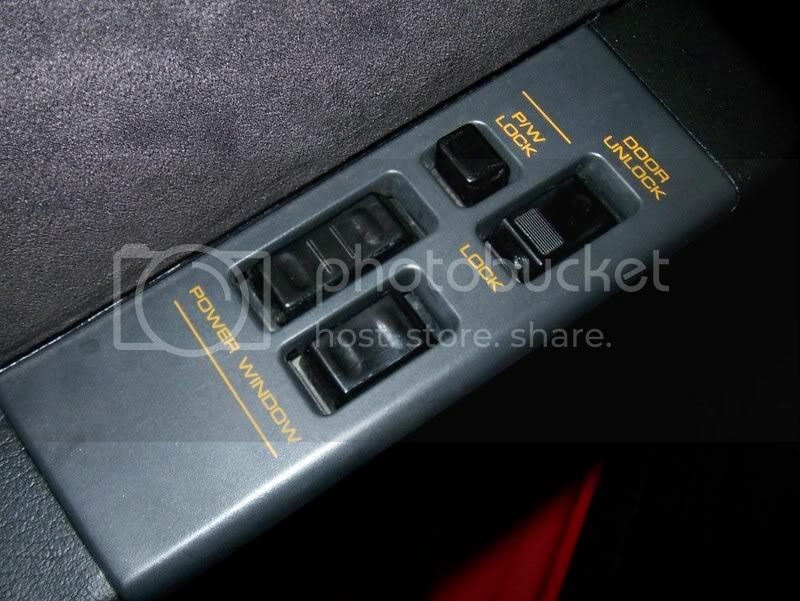 Essentially if you start with a control for one of these cars you would need to swap the switch interior from an S12 into the pathfinder switch exterior. A bit of a pain but the end result is still pretty good. If you place the switch face DOWN (switches down) on a flat surface you will see three tabs on either side, carefully pry them open and remove the bottom cover (far right in picture). Then there are three more tabs on each side to pry the switch assembly (middle piece) from the cover with the buttons (left piece). It is very important when removing this middle piece to keep the button faces pointed DOWN, there are springs and small pieces inside the cover that will fall out and it's a pain to get them back together right. 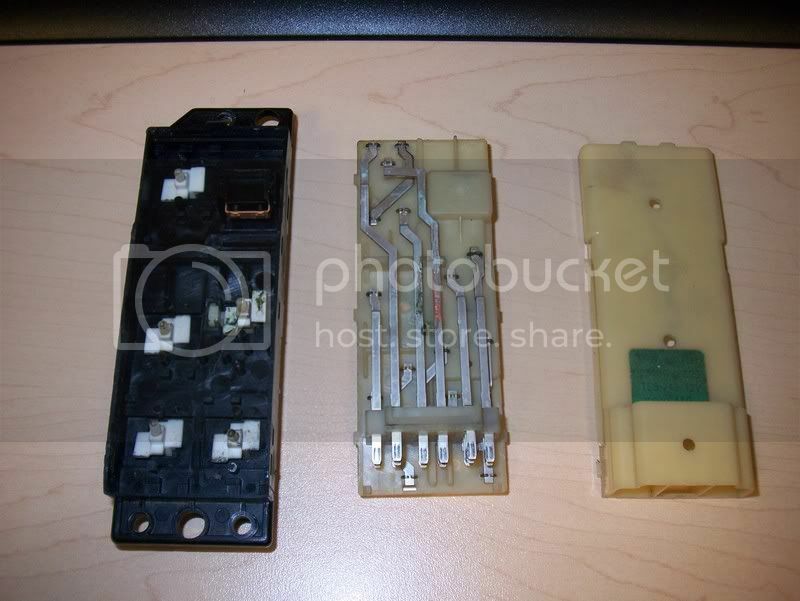 The middle piece can then be cleaned up and swapped into the Pathfinder switch. The middle and bottom pieces (tan in color) can be cleaned with electric cleaner spray (Radio Shack), the black part with the actual buttons CAN NOT. The buttons will oxidize instantly and will look like crap. Once everything is clean put the Pathfinder top & bottom covers together with the middle piece from the S12 (keeping the buttons facing DOWN) and you are off to the races. This brings up one other question that I'll have to check out. I bet you could get a window motor with that 'auto-down' feature from a Pathfinder and swap that into our doors, then there would be just a little wire harness piggybacking to get that auto-down feature. Maybe I'll try that when my window motor dies. Nice Writeup! Always nice to find parts from more common Nissans being able to work in the S12..
Too bad I don't have power windows tho.. One day, I will tho..